Looking for Atlanta signs? Get in touch with the experts at Hardman Signs. With nearly 25 years of service under our belts, we know how to create the signs that Atlanta businesses, establishments and candidates require. We employ a well-trained team of Atlanta signage experts who will be your start-to-finish guides throughout the process, offering assistance with design, providing process management, receiving municipal clearances for sign placement and finally fabricating and maintaining your signs. Read on to learn more about signage in Atlanta. 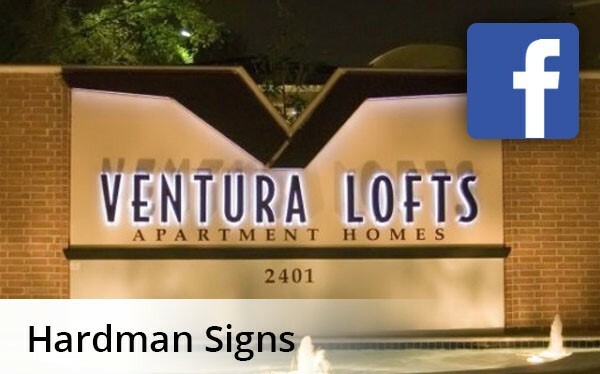 Our expertly-trained Atlanta signs personnel will create the signs for your Atlanta establishment that best reflect your image, products and services. Atlanta signage is made easy by designers who understand how to create signage that's as commercially appealing as it is attractive and by engineers who understand the need for fast and efficient Atlanta signage fabrication. Need Atlanta signs? You can't do better than the experts at Hardman Signs. To get the ball rolling on your signage fabrication process today, fill out our no-obligation quote form or call us with your requirements.